With 2015 officially in effect it restarts the callender year for all festivals to come back. 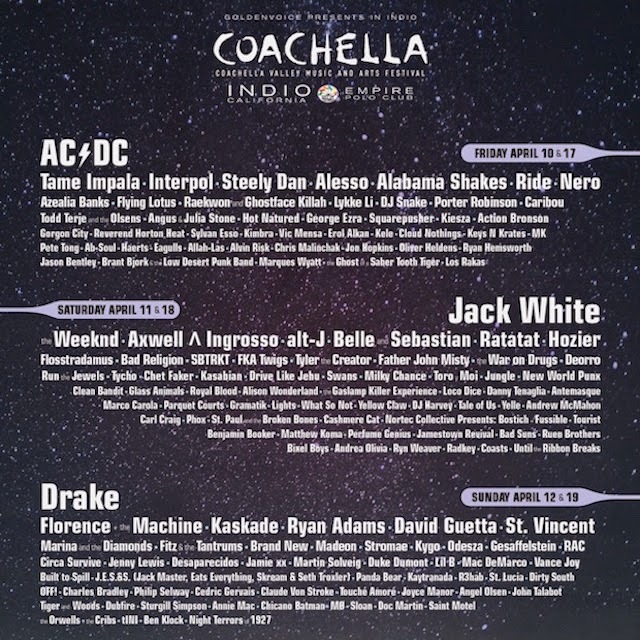 Here we have the 2015 lineup for the annual Coachella Valley Music and Arts Festival. 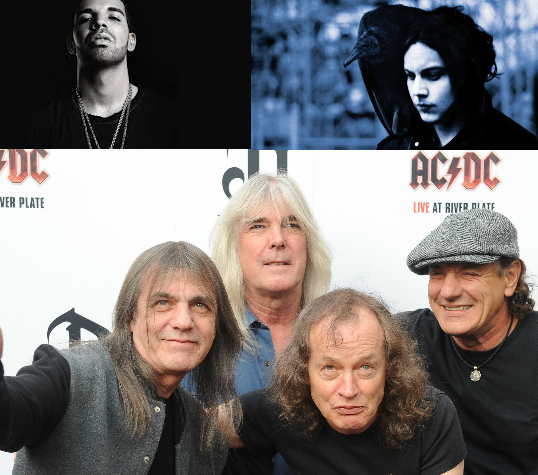 Headlining the event will ACDC, Jack White & Drake. Other acts inclued The Weeknd, Tyler the Creator, Ghostface Killah, Raekwon, Ab-Soul, Alesso, David Guetta and Many More! this event will be one of the biggest but can it top last year? Or 2012's festival where Dr Dre and Snoop doggy dog bring out Tupac? I guess we will just have to wait and find out! Hurry and get your tickets quick, general admin tickets are already sold out! !